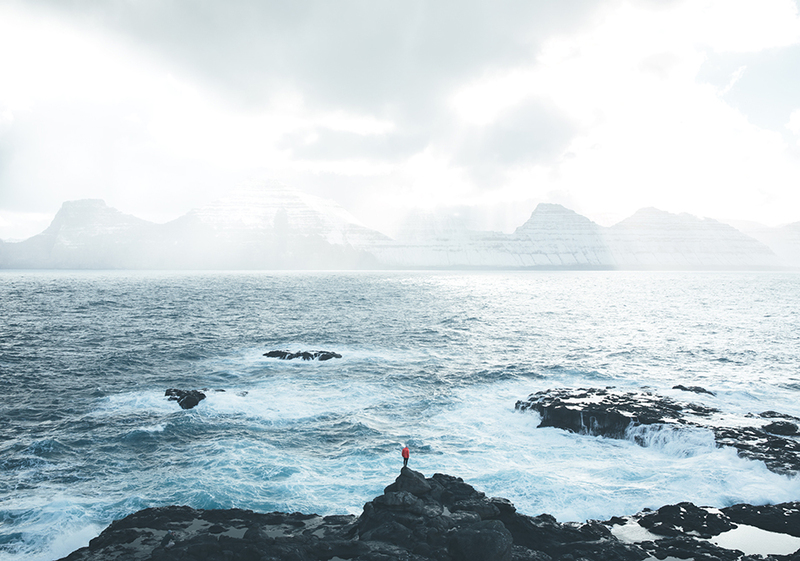 Unspoiled, unexplored, unbelievable – that’s the Faroe Islands. Located between Scotland and Iceland in the North Atlantic Ocean, lies this incredibly beautiful and breathtakingly unfamiliar land. 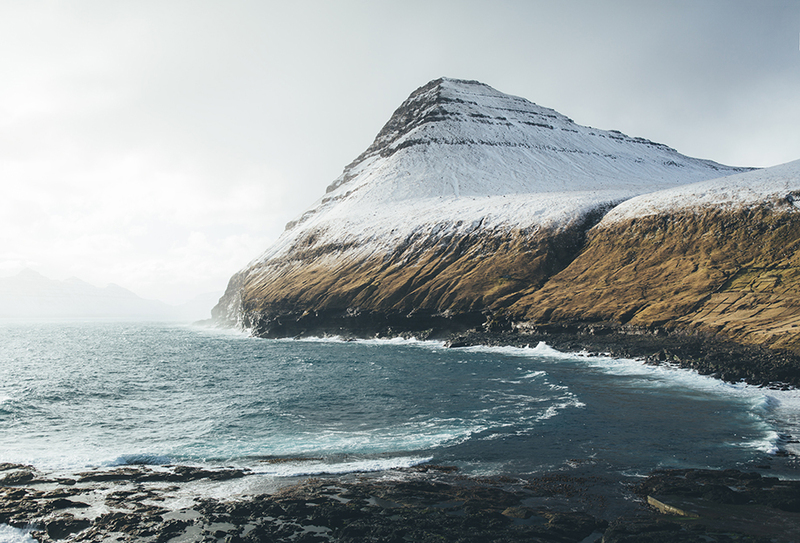 Føroyar – the name of the islands – is translated as ‘the islands of sheep’. And in fact there is 2 times more sheep than people living on the islands. The islands landscape is shaped of steep cliffs, deep fjords and high rising mountains – no matter where you are, you are never more than 5 kilometres away from the ocean! The small village of Saksun is a special place to visit! It lies in the bottom of a former inlet of the sea, surrounded by high mountains. The few houses from the village are all built in a traditional way with gras rooftops. The natural harbour right ahead of the village is a cool place to explore during low tide. 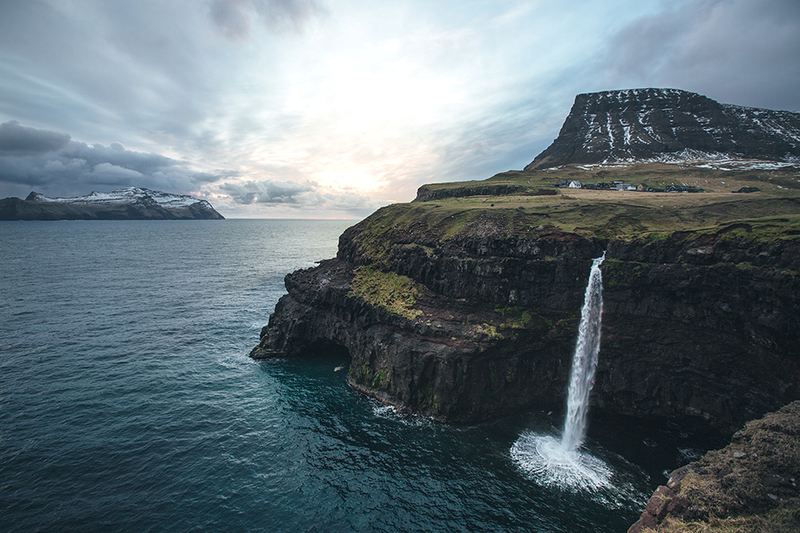 A waterfall which drops right into the ocean – a must see place when visiting. Close to the airport makes it really convenient to visit! Best time for photos: Sunset. 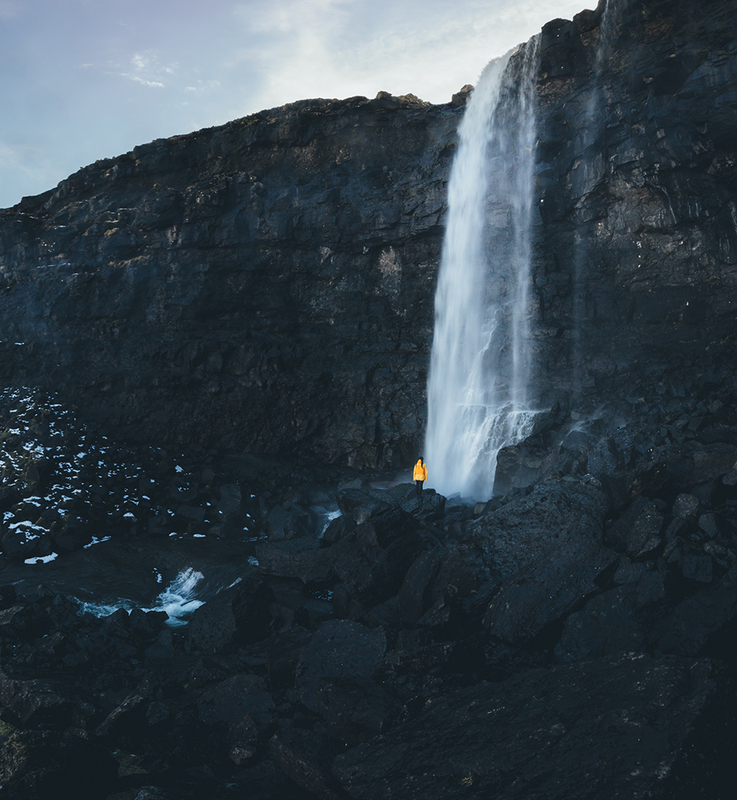 The Fossá waterfall near the village of Haldórsvík lies directly next to the road and is a great place to explore and get a cold shower from! Make sure to hike up the side, there is a second waterfall on the higher point! 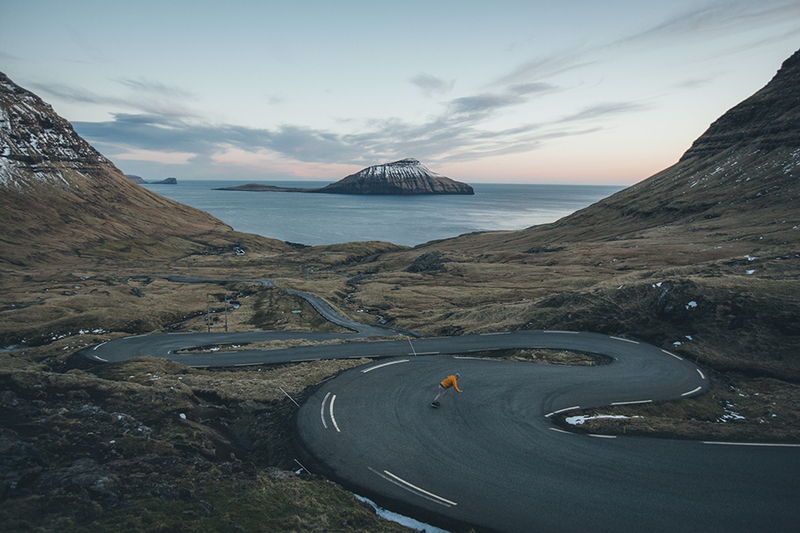 Faroe Islands seriously has one of the coolest roads to skate down – so make sure to bring a board for your visit! Cruising down the windy road towards Norðadalur already is fantastic, but views like here with he beautiful view of the island Koltur in the background doesn’t make the experience worse. 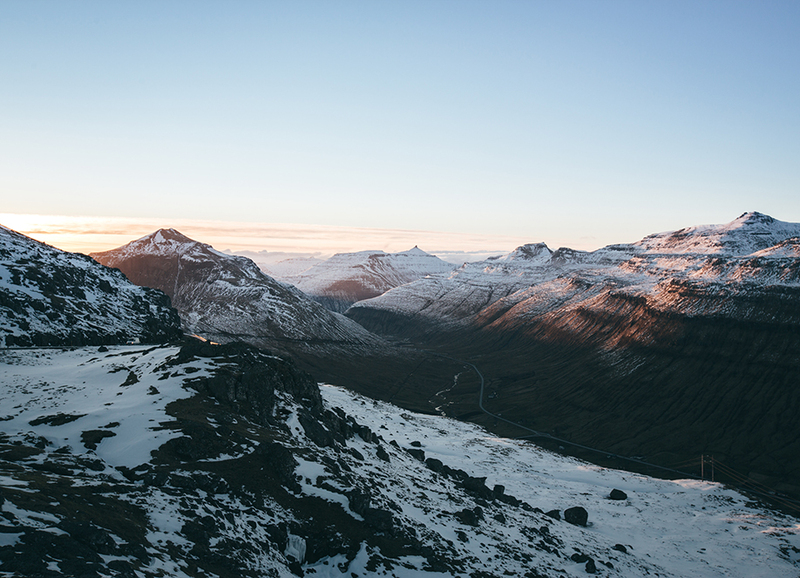 Visit the village of Gjógv which lies behind a mountain pass on a rough coastline. Make sure to explore the town as the name of the village ‘Gjógv’ stands for a gorge and right next to the village you can find a breathtaking gorge on the coastline. The island road Oyggjarvegur was once the main connection between the villages on the island which doesn’t mean that it’s boring to drive! It will bring you up to beautiful views and make sure to stop to watch sunset from a higher place! A lake by the ocean, only separated by a steep cliff which is a few hundred meters high! Get the adrenaline by sitting on the edge with your feet hanging over the rough Atlantic – but be careful. 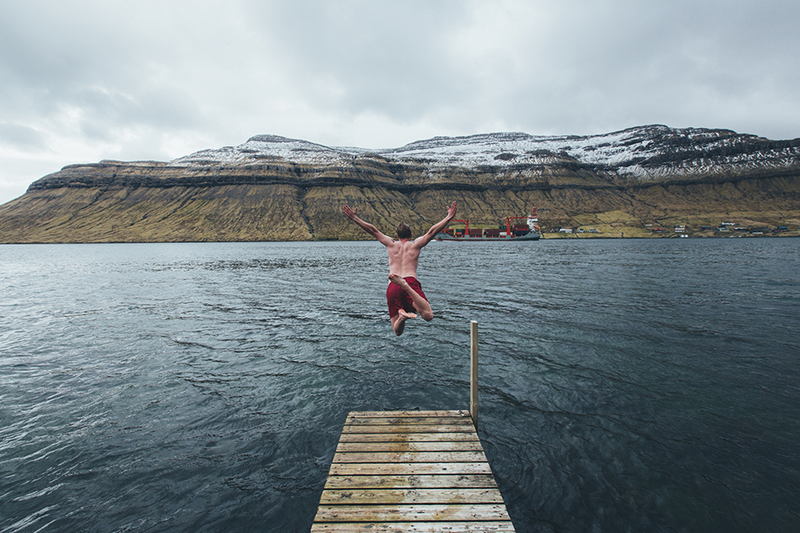 After this enjoy a swim in the freezing lake – refreshing! With the fact of never being more than 5 kilometres away from the ocean gives endless coastlines to explore. Go down and listen to the waves crushing into the rough landscape. Make sure you bring your raincoat as you will get soaked! And watch out for slippery rock! 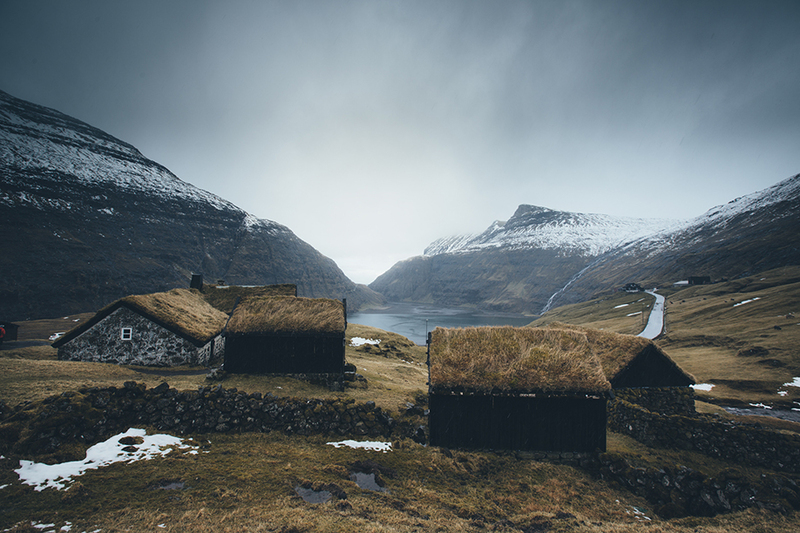 If you have the chance and visit Faroe Islands during Puffin season (usually from May until July) make sure to visit the island of Mykines which is reportedly the best island on the Faroes to see them from. Take a walk through the puffin land, cross the bridge to the small island and walk out to the iconic light house. From here enjoy the great views on the most western point of the Faroe Islands. Last but not least, enjoy the company of the locals! 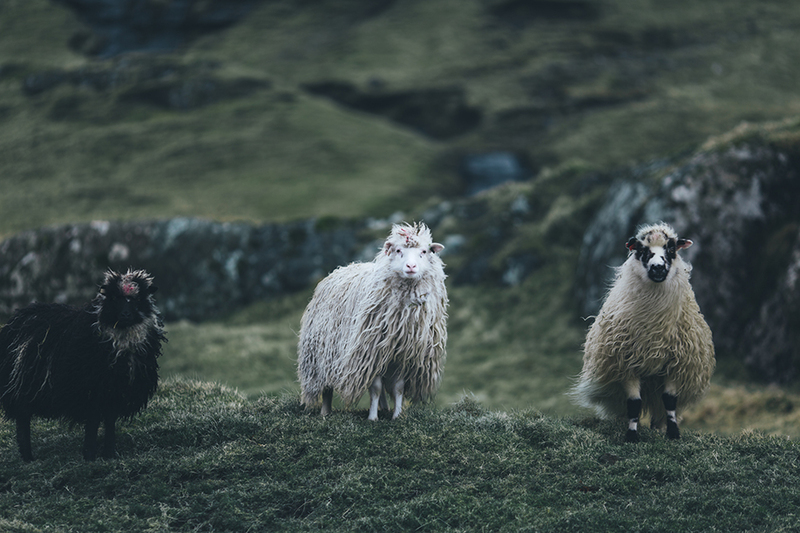 Everywhere on the islands you’ll be surrounded by sheep but don’t forget to visit the small capital of Tórshavn to stroll around the tiny streets and grab a coffee and a cake on the oceanside.